The PBE has been updated! 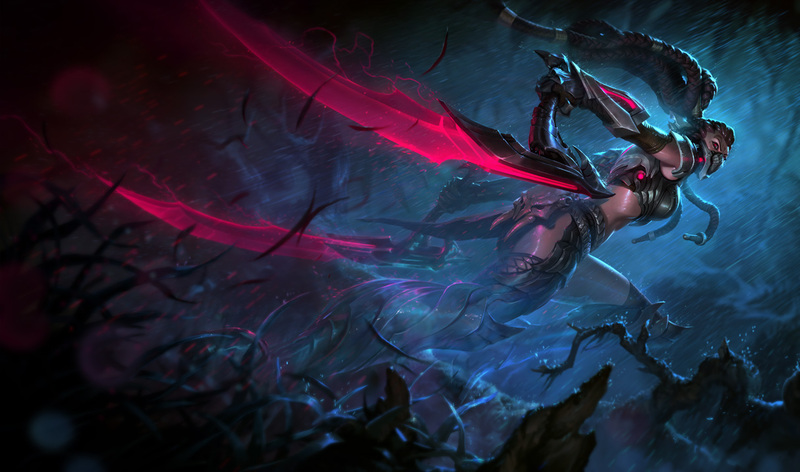 Today's update includes the splash art for Headhunter Akali, texture rebalances for more Janna and Cho'Gath skins, new end of game Victory and Defeat animations, death and spawn animations for Stealth and Vision wards, Kassadin visual tweaks, and more! 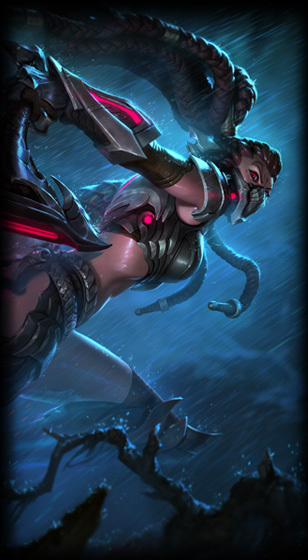 The splash art for Headhunter Akali, an upcoming 1350 RP skin, has been added in today's update. Check out our earlier PBE coverage for a better look at this upcoming skin! Following yesterday's batch, today's patch includes texture rebalances for Hextech Janna, Victorious Janna, and Jurassic Cho'Gath. Remember that texture rebalances are aimed at updating older champion & skin textures to match the current art style and are not meant to replace future visual updates. Taric, Warwick, Janna, Tempest Janna, Frost Queen Janna, Gentleman Cho'Gath, and Loch Ness Cho'Gath also have texture rebalances on the PBE. Check out our earlier PBE coverage for a better look. The End of Game Victory and Defeat ceremonies have been updated with new animations! The base Stealth and Vision wards now have unique spawn and death animations. Following his visual updates from earlier in the cycle, Kassadin's blade has been made significantly brighter in today's update. All of his updated skins have also had their blades brightened. Check out our comprehensive PBE post for more on Kassadin's updates this cycle. "Hey guys, we saw that a lot of players weren't super excited about the Debonair Galio skin on PBE, so we've decided to take some time and do what we can to make this skin as awesome possible. That said, he won't be in Patch 5.5." [Bug Fix] Elderwood Bard has been fixed up and no longer has the broken texture stretching from arm to arm. They also added a new Urf model to the files. No idea what it is for yet but it is lacking a texture and has a few animations. It is labelled as a "particle". 2/25 PBE Update: Texture rebalances for Janna, Warwick, and more!